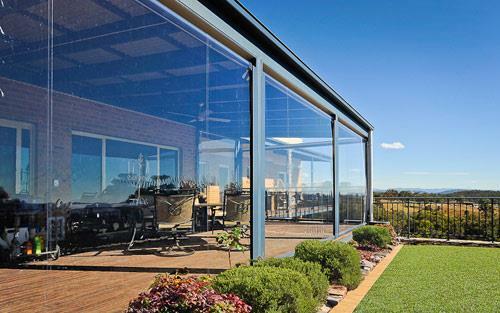 Clear PVC Blinds are often used under verandahs, creating the perfect outdoor living and entertainment area. They protect you from the wind and rain without disturbing your view. Clear PVC blinds from Mr Blinds are manufactured in our company owned factory in Para Hills West. 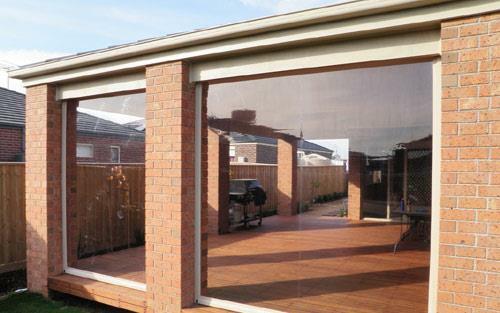 Clear pvc provides a great solution for your patio or alfresco living space letting in natural light while keeping out the unwanted Adelaide weather. Outdoor pvc blinds are easy to operate by one person in one easy action, thanks to the Zipscreen blind system which means no ropes, no pulleys, no buckles, no crankshaft mechanism and therefore no struggle! All fittings and fixtures can be colour coded using either Colorbond® or Dulux® powder coated colours to match your existing colour scheme. Using the highest quality marine grade extruded plastic means you’ll have to check whether they are up or down; the pvc is that clear. Your clear pvc outdoor blinds can be hung and attached to existing walls or verandah posts, or we can install Colorbond® posts for you. Pelmets in a variety of designs can be added to hide the top roll, and will also offer protection to the rolled up blind from the rain; if installed on the outside of beams. 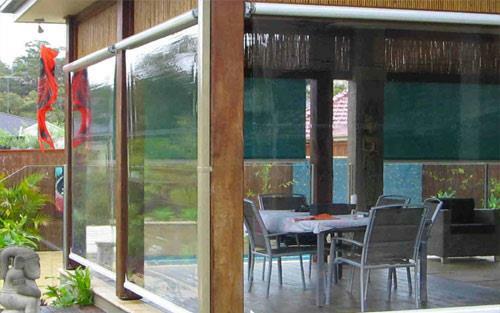 If your after creating an outside living room and want to be protected from the wind and rain, clear pvc outdoor blinds from Mr Blinds Adelaide are the answer, and because we manufacture them ourselves right here in Adelaide, you can be confident about the quality and attention to every detail.